Most educators do not enter teaching with the expectation that they will be working with consistently well-behaved, enthusiastic, successful learners who enjoy sitting quietly in rows listening to teachers lecture at them. Nor do most teachers anticipate that all their students will dutifully use their highest cognitive processes to memorize, prioritize, analyze, and reflect on everything they hear. There may be some days when such a prospect is appealing, but for the most part, teachers and students have at least one thing in common: their brains are inspired and stimulated by challenge. Robotically attentive “Stepford” children, always ready for rote memorization and one-size-fits-all instruction, would not need teachers. Videotaped lectures and textbooks could serve their needs. What makes teachers true educators is their acknowledgment, appreciation, and respect of students' differences. Students' diverse intelligences, talents, skills, interests, and backgrounds enrich our schools and our lives as teachers. Many of today's classrooms are more diverse than ever, including as they do students with LD. Most of us know that the L in LD stands for learning, but the D can stand for a variety of terms: disability, dysfunction, difficulty, diversity, dichotomy, or difference. The fact that these two letters can represent more than one term is of value. The terms may not be clinically or diagnostically interchangeable, but my goal is to offer approaches to enrich the classroom experiences of students in all of the LD categories, as well as those of their classmates. No two students are the same, and no individual student has the same response to learning in every situation. What we consider a disability for a student in one situation may be a difference that enriches that student's learning experience in another situation. The generally accepted definition of the term learning disability is a cognitive, neurological, or psychological disorder that impedes the ability to learn, especially one that interferes with a person's communicative capacities and potential to be taught effectively. Some states require that students labeled learning disabled have normal or above-normal intelligence and difficulties in learning specific skills. Other states extend the definition to include people of below-normal intelligence who have such conditions as perceptual handicaps, minimal brain dysfunction, dyslexia, developmental aphasia, and AD/HD, but they do not include learning problems due to mental retardation, emotional disturbance, cultural or environmental disadvantage, or physical handicaps (for example, impaired sight or hearing or orthopedic disabilities). Neither learning nor teaching is a single process. Neuroimaging studies show individuals' varying abilities to identify such sensory stimuli as color, shape, sound, and location. These variations correlate with individual students' different recognition capacities, learning styles, and responses to instructional materials and teaching techniques. 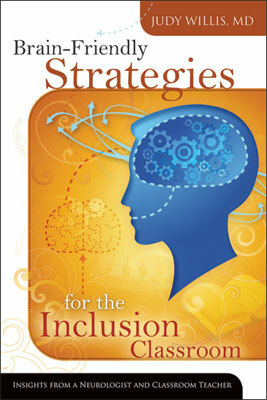 Because each student is unique, teachers—especially those in inclusion classes—must use diverse strategies suited to students' broad array of abilities, intelligences, and learning styles. When we offer a variety of individually appropriate strategies, we enable all students to be true participants in a community of learners. As teachers strive to meet the needs of all students, they will realize that there is no clear, consistent dichotomy between “special” and “regular” students. The same students will not always be at the top or the bottom when they are evaluated according to their intellectual, social, physical, and creative abilities. With the move from a divided general education/special education model to a unified inclusion system, the most successful educators will be those who work together and share resources and expertise to meet all students' needs in any way possible (Stainback, Stainback, & Forest, 1989). As educators, we won't know what gifts are hidden in our students until we unwrap their packages. Most successful teachers of inclusion classes have found that when they teach basic skills within the context of meaningful lessons, all students can achieve higher-level learning. Such lessons stimulate critical thinking and motivate students to make personal connections with the material. Students who are part of a community of learners tend to rise to higher levels of learning and joy, especially when they work cooperatively on in-depth, project-based units of discovery. In these supportive classroom communities, students acknowledge and appreciate one another's skills and talents. Stereotypical academic success no longer becomes the only standard for who is “smart.” Students who learn about their own and their classmates' multiple intelligences and unique abilities begin to shed previous negative attitudes or preconceived notions about LD students. In addition, an education environment that values participation in cooperative activities can reduce LD students' academic anxieties and build their confidence as they receive positive recognition for what they bring to the community of learners. The Individuals with Disabilities Education Act (IDEA) requires public schools in the United States to make available to all eligible children with disabilities a free education in the least restrictive environment appropriate to their individual needs. Under IDEA, public school systems must develop an appropriate individualized education program (IEP) for each of these students. The specific special education plan and related services outlined in each IEP should reflect the individual needs of the student. IDEA also mandates particular procedures that schools must follow in developing IEPs. Each student's IEP must be developed by a team of knowledgeable persons and be reviewed at least once annually. The team includes the student's teacher; the student's parents, subject to certain limited exceptions; the student, if determined appropriate; a state agency representative who is qualified to provide or supervise the provision of special education; and other individuals at the parents' or agency's discretion. The decades since the initiation of IDEA in 1975 have seen the almost complete elimination of separate pullout classes for students with disabilities. Now students who were previously sent to “special” schools attend classes with their siblings and neighbors. Inclusion classes, when successfully planned and taught, become places where friendships are founded on the appreciation of similarities and differences. The word inclusion carries positive connotations of belonging. Indeed, full inclusion of all students—even those with severe disabilities—in general education classrooms doesn't mean LD students work separately with their aide while the rest of the class does other work. Truly inclusive classrooms integrate and coordinate specialized school support programs within the general education program. This approach has replaced what was previously dubbed mainstreaming—nonacademic inclusion, in which LD students joined general classes for nonacademic work and were removed for academic special education. In the past, many students with severe disabilities were separated into special education classes and missed out on the benefits of having long-term social relationships with classmates who did not also have severe disabilities. As a result, when they left the supervised classrooms, they were not ready to join the larger, heterogeneous communities in which they would live and work for the rest of their lives. In contrast, a 10-year follow-up in one study found that LD students who had been taught in integrated classes demonstrated more independent functioning and social adjustment (Stainback et al., 1989). Sometimes problems in separate special education classes arose because of insufficient teacher training. For example, teachers may have learned to identify and accommodate the needs of LD readers but lacked instruction in teaching higher-level reading. Also, because special education classes were not necessarily smaller than regular classes, many students with disabilities received no more individual attention in the segregated classes than they would have gotten in the integrated classes. In some such cases, teachers were obliged to teach the majority of the class to the level of the least common denominator—the most severely disabled students who needed the slowest pace and the least-challenging lessons (Affleck, Madge, Adams, & Lowenbraun, 1988). Strategies derived from brain research enable LD students to learn according to their strengths and help them develop the characteristics found in successful students. In addition to promoting academic success, these strategies uncover such strengths as energy, curiosity, concentration, exceptional memory for details, empathy, openness, perceptiveness, and divergent thinking. Many students who struggle with LD become self-reliant at an early age, are good at expressing their feelings, are aware of their thinking and decisionmaking processes, and are tolerant of others' weaknesses (Goldberg, Higgins, & Herman, 2003). Inclusive classes are also good for teachers. Whereas isolated special education teachers experience more burnout and attrition than regular teachers do, effective inclusion teachers tend to describe themselves as tolerant, flexible, and prepared to take responsibility for all their students (McGregor & Vogelsberg, 1998). These successful teachers' colleagues and administrators found them to be good collaborators who exuded warmth and sincerity in their interactions with students. Their most common concerns were insufficient time for collaboration and the challenges of managing students whose severe behavioral problems disrupted class. Evaluations have found that the most beneficial supports to successful inclusion teachers are strategic training, support from a team of professionals, and assistance personnel in their classrooms (Pryor, 2003). The principal goal for all students is to achieve their own highest level of success in supportive classrooms, taught by teachers who give them the tools to overcome obstacles and learn to their fullest potential. Although success means different things to different people, most people agree on certain common factors as important components of success, including positive family and peer relationships, self-approval, academic success, job satisfaction, physical and mental health, financial comfort, and a sense that one's life has meaning and value. A study tracking LD students over the course of 20 years identified several specific attributes that seem to lead to such successful life outcomes. These attributes include a positive self-concept, a proactive approach to life, a tendency to set goals, perseverance, effective support systems, and effective emotional coping strategies. Although not every subject who achieved successful life outcomes had all of these attributes, the study found that their presence was more predictive of success than were such variables as school grades and IQ (Raskind, Goldberg, Higgins, & Herman, 1999). A sequence of five critical conditions of brain processing helps promote some of these attributes of success. I have defined the conditions according to the brain structures and functions that neuroimaging research has demonstrated are the basis of processing raw sensory data into retained and accessible memory. Most of the strategies I describe in this book help promote these five conditions. The strategies aim to empower students' brains to recognize which sensory data are worthy of focus; promote the passage of these data through alerting and affective filters; pattern the data into the coding of brain cell communication; and prepare the data to be successfully stored, maintained, and retrieved. The entire process turns information into the memories that become accumulated knowledge. The following five steps describe how the sequence of these necessary conditions of learning unfolds. The brain responds to sensory input that engages the attention of sensory processing filters. After the senses register the information, it passes along to the neurons in the amygdala, where it can be moved to memory storage. At this point, the affective filter in the limbic system must be set to accept and not block incoming data. If high stress or negative emotions have overloaded the amygdala, the affective filter will block passage of the data into memory. On the other hand, pleasurable, positively reinforcing, and intrinsically motivating stimuli unlock the gates of the limbic system to facilitate active information processing. Such information has the best chance of entering long-term memory storage banks (Willis, 2006). Sensory data that pass through the brain's filters are coded into patterns that can be connected to existing neuronal pathways. Dendrites (neuron extensions that conduct electrical impulses to neighboring neurons) and the synaptic connections they form build neuronal pathways that cross-connect to multiple storage areas of the brain. These neuronal pathways are activated through relational, emotional, personally relevant, learner-participatory, and experiential stimuli. The repeated activation of these new circuits by the variety of access stimuli will strengthen the new pathways, limit their susceptibility to pruning (a process of eliminating inactive brain cells), and increase the efficiency of memory retrieval. Repeated multisensory stimulation brings new memories from the brain's data storage areas to its executive function processing centers. When the brain's highest cognitive levels use the facts, processes, sequences, and routines that it has acquired as memory, all learning comes together. At this stage, synapses are firing in brain centers of critical reasoning, prioritizing, judging, and pattern analyzing. This is the brain's electrical dance of original, creative discovery—the “aha” moments. The brain's emotional core is a connection of neural centers in and near the temporal lobes that together are called the limbic system. Composed of the medial temporal lobe, thalamus, hippocampus, amygdala, and parts of the frontal lobes, the limbic system is the core of emotional response, stress reactions, and fear patterns. All information enters the brain as sensory data from what we hear, see, smell, touch, or taste. This information must pass through the reticular activating system (RAS) and the limbic system to be acknowledged, recognized, connected with relational memories, patterned, and ultimately stored in long-term memory. The amygdala is often referred to as the center of the limbic system because it is so responsive to threat and fear. fMRI and PET scans demonstrate that when the amygdala is in a hypermetabolic state in response to stress, the brain regions that process information show much lower metabolic activity (i.e., less oxygen or glucose use). This lower metabolic activity suggests that the information is not getting through the hyperactive amygdala's blockade and reaching the secondary processing areas (Introini-Collison et al., 1990; Introini-Collison, Miyazaki, & McGaugh, 1991). The RAS is another critical brain entry pathway that is affected by emotion. A major attention-activation switching system located at the brainstem, the RAS receives input from the nerves that converge into the spinal cord from sensory receptors in the arms, legs, trunk, head, and neck. The spinal cord sends these sensory messages up through the RAS to gain entry to the brain. The RAS sets the state of arousal of the rest of the brain and affects the ability of the higher brain sensory recognition centers to receive and respond to incoming data (Eich, 1995). Information travels along the nerve cell's axons and dendrites as electrical impulses. However, where these sprouting arms connect to the next neuron in the circuit, the information has to travel across a gap between the end of one nerve and the beginning of the next one. In these gaps, called synapses, there are no physical structures along which the electric impulses can travel. When crossing synapses, the information impulse must therefore be temporarily converted from an electrical one into a chemical one. Neurotransmitters are the brain proteins that are released when the electrical impulse of transmitted data arrives on one side of the synapse. The released neurotransmitters then float across the synaptic gap, carrying the information with them to stimulate the next nerve ending in the neural circuit. Once the neurotransmitter is taken up by next nerve ending, it acts as an ignition to activate the electrical impulse once again so that the information can travel along to the next nerve cell. Teachers can best meet these critical conditions when they have access to professional development—inservice training or conferences, for example—that teaches them about the most valid brain-based teaching strategies. By using these techniques, teachers can successfully engage all students in appropriately challenging yet supported learning. Although experienced teachers have learned how to structure lessons without having to plan every detailed component in advance, the additional complexities of teaching inclusion classes make planning a valuable procedure. In particular, the process of figuring out which strategies will engage and accommodate students' challenges, developmental levels, interests, gifts, and physical needs will help teachers achieve authentic inclusion for all their students. I present the following strategies as a menu of options to empower all students to become more successful. Instead of attempting to match specific strategies to each category of LD, I developed most to be of general benefit to the diversity of learning styles and abilities found in inclusion classes. The goal of these strategies is to enable students in inclusion classrooms to enjoy the experience of school with optimism, motivation, confidence, and the desire to take on challenges while supporting one another in shared adventures in discovery and learning. Individualizing instruction is a daunting task for a single teacher in a class containing up to 35 students. Instead of thinking of the task as all or nothing, the teacher should spend some time each day considering the individualized needs and interests of one or two students. Within a few weeks, the teacher will have a sense of which students might be responsive to a few specific strategies for one of their academic or social challenges. As time goes on, the teacher will begin to make connections between students' learning differences and the lessons and strategies that are best suited to them. As teachers glean further information from subsequent observations, assessments, student interest inventories, IEPs, and resource specialists' input, the challenges of inclusion classes will become growth opportunities for teachers and students alike. There are several factors for teachers to consider when physically setting up their classrooms. Here are some ways to support students' individual physiologies, learning styles, and behavioral characteristics. If students' learning styles or visual limitations benefit from their drawing large graphic organizers, taking notes on big charts, using manipulatives, or using electronic devices for word processing, they may need to have access to larger work areas and electrical outlets. Students with attention difficulties or high attraction to the natural world may be distracted by sitting near a window. Students who are adjusting to medications that cause drowsiness may need a window's fresh breeze or a front-row seat to remain alert. Front-row seating can benefit withdrawn students who feel more comfortable experiencing what feels like a one-to-one relationship with the teacher at the front of the room. Interpersonal learners who are distracted by classmates with whom they enjoy conversing maintain better academic focus if they sit at the ends of tables or rows. Neuroimaging confirms that the least-efficient memory strategy is rote memorization of facts and skills taught in isolation (Wagner et al., 1998). However, when information is embedded with personal relevance from prior experience, interests, goals, or real-world connections, the new data go beyond rote memory into long-term memory (Gardner, 1991; Poldrack et al., 2001). Whereas memorizing isolated facts and skills requires considerable practice and rehearsal, information that carries personal relevance links to existing neural networks and therefore is processed more efficiently, requires less practice, and is more likely to become part of the long-term memory bank (Brooks & Brooks, 1993). Teachers should try to help all students relate to academic information through their experiences, goals, and interests. Students can find personal relevance in all kinds of events in the world around them, from sports to popular films. Creating or mimicking real-world experiences through demonstrations, projects, field trips, outside speakers, or student-centered discussions can instill personal relevance into academic content areas and show students why the information is, or could be, personally important to them. However teachers do it, making material authentically meaningful to each learner is crucial. If students can't relate to the new material, their neural networks will be less able to process it and retain it as memory, leading to frustration and discouraging classroom experiences. To maximize personal relevance, teachers should consider the following tools and tactics. Realia. Many learners benefit from learning from real objects and experiences. When possible, teachers should include realia, objects of interest, and interactive experiences in unit introductions. Narrative lessons. Lessons that present material in story or journalistic form make the same connections as stories do. When Mona Pinon, a high school teacher and curriculum supervisor, develops narrative lessons about the tough “Independent Clauses” who don't need commas and the wimpy “Dependent Clause” crowd that won't venture out without a comma, her students are pulled into the lesson. Then they are ready for the more expository material. Teachers. Educators should never forget that they themselves are personally relevant to students. Teachers are probably the adults with whom elementary school students spend the most focused time every day. Even at the middle and high school levels, teachers are some of the most important people in students' lives. All parents who hear their children's daily stories about what this or that teacher did or said know how relevant teachers are. When teachers remain passionate about what they teach, students will remain motivated and engaged. If teachers have taught the material dozens of times before and reached the point of boredom, they should punch up the lessons by bringing in connections to their own interests or current world events. Teachers' enthusiasm will shape the emotional climate and interest level of their students. It has been said that when we relieve students of their struggles, we rob them of opportunities to build self-confidence, along with knowledge. But when we value mistakes as learning opportunities and allow students to experience puzzlement, learning can increase. Imagine molecularly altering an orange by freezing it in liquid nitrogen. Now imagine dropping the orange on the floor and watching as it shatters into a dozen pieces. In a classroom, this demonstration would be beyond the realm of students' prior experience or understanding of the world. The phenomenon doesn't fit their understanding of the way things work. Phenomena like this one lead to a brain state of disequilibrium, and the curiosity it prompts can be a powerful motivator for learning. When students are aroused by this curiosity, they will be on the lookout for information that can help them solve problems or understand the demonstrations that have piqued their interest. During this state of disequilibrium, the amygdala is stimulated (although not overly so), so it is able to transmit data efficiently from the sensory response centers to the patterning and memory regions of the brain. The hippocampus is primed to bring “online” any previously stored related information that may connect with the new data to bring a solution and restore equilibrium. When teachers foster disequilibrium-prompted curiosity, they will achieve the ideal brain state to engage the interest and focus of all students in inclusion classes. The objective of this strategy is to provide experiences and develop student goals based on individualized realistic challenge, which connects students to knowledge by communicating to them high expectations while confirming that they have the capacity to reach these goals. Teachers can support this kind of challenge with clearly structured goals, frequent feedback, and positive intrinsic reinforcement, all geared to students' individual intelligences and learning styles. Students develop confidence when they know that they will have access to the tools and support they need to reach the expectations set for them. Challenging students at reasonable, appropriate levels is one of the most powerful strategies for success, but teachers must carefully monitor the level of challenge. If goals do not provide sufficient challenge to engage students, or if the challenge exceeds students' levels of capability, frustration replaces motivation. A six-piece wooden puzzle would be as exasperating for an average 3rd grader as a 500-piece puzzle. Teachers should also keep in mind that LD students as well as gifted learners need to be challenged. Without reasonable challenge, LD students are at risk for learned helplessness, dependency, and feelings of inadequacy. A study examining what makes computer games so captivating found that the key element is variable challenge based on player ability. The most popular computer games in the study took players through increasingly challenging levels as they became more and more skillful. As players' skill improved, the next challenge would stimulate new mastery to just the right extent that the player could succeed with practice and persistence (Malone, 1981). Extending that kind of incremental, responsive challenge in the classroom is motivating and imparts a sense of accomplishment. Teachers must demonstrate to all students in inclusion classes that success is measured not only by standardized tests and grades, but also by the ability to set and reach appropriately challenging goals. Planning these personalized goals is time-consuming, but teachers' efforts will be rewarded by students' improved confidence, attitudes and behavior, and academic achievement. When students participate in setting reasonably challenging goals, they are also practicing the executive functions of planning, time management, and prioritization. They not only feel good but also have greater potential to reach their goals. The goal-setting process also has the brain benefit of lowering students' affective filters and stimulating the dopamine reward system: the brain's release of the pleasure chemical dopamine during naturally rewarding experiences. Students are more willing to invest their time and energy in an area of study when they collaborate on setting goals that lead them in the right direction. When those goals are carefully planned to incorporate authentic use of the standards' required academic knowledge, students will be more engaged in the learning because it will help them reach their goals. Their increased investment in the outcome will also stimulate their interest in the tools teachers have to offer them. As students experience the connection between practice and progress in achieving their goals, they will appreciate their teachers for having provided them with the keys that unlock the doors to their aspirations. Goal planners—scaffolding tools that teachers can call such fun names as treasure charts, wizard plans, or trip planners—can help empower students in setting and achieving their individualized goals. After teacher modeling and practice, students can reach varying levels of independence in creating their goal planners. Some students will develop their own wizard plans, and others will need preprinted treasure charts with spaces to write below column headings. These headings can also vary, but in general they will incorporate subject, activity, time allotted, predicted goal, and achievement. Before the class starts on an activity, students predict how much of the activity they will be able to complete in the time allotted. They then write down their predictions, such as “4 of 8” for the prediction that they will be able to write sentences using four of the eight assigned vocabulary words during the allotted time. After the activity, students complete the chart by recording the amount of work they actually completed. Students may need teacher guidance when they first begin to make predictions, but as they progress they will learn how to predict more accurately. Charting their predictions and outcomes on separate pages once a week or so can provide additional useful feedback on their long-term progress. As students review their weekly progress charts, teachers should encourage them to make a note of particularly successful strategies. When students reach or exceed their goals, they set new short- and long-term goals. If they find they are now completing all vocabulary sentences in the allotted time, for example, they may choose to add one of the bonus words, conduct a self- or partner review of previous vocabulary words, or create a puzzle or story using the vocabulary words. Students who fail to reach their goals may need support to avoid falling into frustrated, self-defeating behaviors. These temporary setbacks can be opportunities for students to practice recognizing what strategies might have helped them succeed. When students build a backlog of strategies that work for them, these setbacks will become learning experiences. Writing down their plans will help them remember these strategies the next time they return to the subject or activity. Teachers can build choice into the classroom community in a manner that does not separate students based on intellect or ability. When it is time to do independent classwork, for example, students can choose which assigned work to do first. Having some students start their math homework while others conduct research for their reports combines choice with student activity variation. During this choice time, students will be doing work that needs varying amounts of teacher support. When more students are working at their independent levels or in cooperative groups, teachers have time to work with a few students who need more assistance, whether remedial or advanced. These classroom patterns become more effective as they become routine. Most in-depth investigations and reports in history, language arts, or general science can follow curriculum guidelines and still be approached and presented in a variety of ways. Teachers may allow students to demonstrate their understanding through a broad array of projects, such as writing a report, making a board game or puzzle, or creating a book that includes questions and answers for students several grades below. A note of caution: Problems can arise when choice takes precedence over learning objectives—for example, if certain students always choose to design book covers for their literature projects. These students are not striving for the challenge component of reasonable challenge. They are not extending their knowledge if they repeatedly choose the easiest or fastest activity. To avoid these situations, teachers should not give students responsibility for making all choices. Teachers who are comfortably familiar with their students' learning levels can provide choices that offer all students equal opportunities to learn the required material at appropriately challenging levels and make sure that all students are progressing and not stagnating. Partial participation is a strategy that enables all students to follow a common curriculum at their own levels. This adaptation of the curriculum incorporates individual goals with appropriate levels of differentiated challenge within the same assignments that peers without LD perform. The assignments are age- and interest-appropriate but geared to each individual's level of ability at that time. For example, students whose faulty memory tracking slows their mastery of the multiplication tables may need to use calculators temporarily. Other students may initially need to write their notes about the new topic on outlines that are already partially filled in. This strategy keeps students motivated because they are stimulated by suitable challenge while working within their own comfort zones. This ongoing process does require dedicated student observation so that teachers can make needed adjustments in the “right amount” of challenge and offer useful, specific feedback. This continual assessment creates opportunities for discovery learning within each student's zone of proximal development—the gap between the student's current or actual level of development and his or her emerging or potential level of development—while avoiding the frustration or resentment that activates the information-blocking power of the affective filter (Routman, 2000). Through practice and more familiarity with the new topic, students will gradually need less scaffolding, but in the meantime, they will not be shut out from the lesson. Academic priming, or lesson previewing, can help students with disabilities prepare for the following day's lesson in advance, with an aide or with parents at home. For example, students who are easily confused early in a math lesson and become too frustrated to continue focusing will be more comfortable and confident if they preview the lesson's basics before class. Teachers can show parents how to help with this task and then gradually have students preview the material on their own. Usually after a few weeks, this process builds enough confidence that the cycle of early frustration breaks and students no longer need the preview. They begin to realize that they can keep up with new information in class if they stay attentive and don't give in to frustration the instant they feel the slightest confusion. It may also help lower students' affective filters to know that when a new subject is introduced, their classmates are experiencing similar ups and downs in comprehension. Also, as students learn that their teacher will reexplain the concept to suit multiple learning styles, they will become less stressed when they don't understand something immediately. They will learn to trust that within a few minutes the teacher will present the information in a way they can access it. Students get bombarded with an awful lot of information and can easily feel overwhelmed. One way to help all students increase the amount of information they retain from their hours in the classroom is to have them keep personal learning logs. Learning logs allow students to choose how they wish to connect to the information, although students are still accountable for including the important nuggets from each lesson. For each new class or topic during the day, depending on student age and ability, students make new entries in their logs. Students can list, sketch, chart, or diagram three to five main points, new items they learned, or facts that were emphasized during the class. The ideal time to complete this summary activity is immediately after the lesson. The learning log can be used for all subjects and as an addendum to regular notes and assignments. Because students have choice in how they log their new learning, the material becomes more personally meaningful. Using their preferred learning styles to record the material prompts students' most receptive brain centers when they review their logs. If certain topics interest them, they can investigate those outside class and add information to the logs. Adding material of personal interest to them will increase their connections to the lessons and reinforce their relational memories. Another way to help students stay organized is to have them start homework, reports, and projects in class. Daily homework can be overwhelming once students leave the classroom, especially when that classroom includes a wide range of abilities. Information and instructions that seemed clear during class can become confusing when the scaffolding and security of teacher supervision is removed. Students with LD may be especially disturbed when they feel they have lost what they learned and can't do the work they are expected to do. Starting homework and long-term projects in class provides students with structure that they can build on at home. Good feedback helps students examine their progress toward short- and long-term goals from an outside perspective or according to preset standards. As the unit of study advances, rubrics and formative assessment can help students monitor their progress and adjust their strategies and actions responsively. Rubrics. Teachers can provide pre-feedback even before students begin a project, using rubrics or examples of student work from previous years. These work samples are especially helpful if teachers include examples of A-, B-, and C-level papers that match the high, medium, and low criteria included on the rubric. In inclusion classes, teachers can use the same rubric for all students and set individual goals at the appropriately challenging level for each student. Rubrics generally include several categories of measurement, such as quality of work; organization; effectiveness in following assignment instructions; artwork, charts, or graphs; cooperation in group work; grammar and punctuation; and any other categories appropriate to the project. Rubric-based grading can keep the bar high in inclusion classes. Most students will feel capable of achieving the highest level in at least one rubric category. Even when they perform at the lowest level of another category, the high and low scores tend to balance out, and students could still end up with a fairly good grade. Because rubrics prompt students to acknowledge their academic progress, they contribute to a sense of accomplishment and intrinsic motivation. Specific teacher comments along with rubric ratings can add to students' awareness of their successes and the areas in which they can improve. Teachers can find sample rubrics and online programs to create their own rubrics at rubistar.4teachers.org/index.php and http://janeconstant.tripod.com/Rubrics.htm. Formative assessment. Ongoing assessment is necessary to keep all students in inclusion classes actively connected to the lessons. Teachers can implement many creative and effective assessment strategies during lessons, often with the help of students themselves. One quick way in which teachers can provide individual assessment and feedback during whole-class activities is to distribute whiteboards to students. When the teacher asks a question, each student writes his or her answer on the whiteboard and holds it up for the teacher to see. More simply, teachers can have students give the thumbs-up or thumbs-down sign in response to a yes-or-no question. Written teacher responses on papers and tests can also give students timely feedback on their work. To ensure that students actually read these comments, teachers can require them to return their papers with their written responses to the comments and a few ideas about what they will do next time to reach their goals and avoid the same errors. Teachers should keep students in mind as potentially valuable partners in ongoing assessment (while keeping in mind that they first need to model and have students practice feedback and assessment strategies). During independent work time, for example, students who already understand the lesson's content can explain it to and then gently quiz partners who need more practice. Teachers can also give three student volunteers short response forms to complete after a classmate gives a presentation. These forms could be simple rubrics with a few categories, such as completeness of presentation, speaking voice, eye contact, and familiarity with material, and perhaps only three ratings for each. Or teachers could ask for oral responses to student presentations, requiring that classmates be specific in their comments, don't repeat what someone else has already said, always start and end with a positive comment, and don't make comments about things a classmate has no control over, such as tics or speech disorders. Finally, teachers could have students exchange papers for peer editing, using checklists that provide space for specific comments. Just as children mature physically at different rates, chronological age may not reflect students' readiness to learn. Jean Piaget set forth guidelines for average stages of development in multiple aspects of thinking. He noted that the average 7- or 8-year-old is in the preoperational stage, able to think symbolically to the extent that he or she can represent concrete objects and experiences with symbols in his or her mind. By age 10 or 11, the average child is in the concrete operational stage and able to think in abstract terms, generalize, and make connections (Piaget, 1971). Developmental variation is much greater in inclusion classes than in noninclusion classes, and teachers may find it useful to assess struggling students' developmental stages so that they can direct instruction to their appropriate levels. If LD students in 5th grade are having difficulty grasping such abstract principles as warfare, taxation, property rights, sound waves, and light reflection, they might need more concrete material and structured, sequential instruction and practice to prepare them at their developmental level. When they have reached the concrete operational stage, they will have the background they need to perform executive function reasoning tasks. Children cannot be pushed through a developmental stage. They need time to assimilate information before passing to a higher cognitive level. The confusion and frustration caused by developmentally inappropriate lessons can lead to withdrawal from active learning, disruptive behavior, and decreased motivation and confidence. As long as teachers provide a safe, supportive environment for learning, students will reach the higher developmental stages at the time appropriate for them. Giving them opportunities to practice and build on the cognitive skills they have and are learning will ensure their successful experiences as learners. The students entering inclusion classes may have had years of unproductive and painful school experiences, but teachers do not need to lower the bar or eliminate challenge in the name of access. It does require patience and persistence to undo students' discouragement and frustration and help them regain the willingness to challenge themselves again. At first they will need more support and encouragement and smaller, more reachable goals so that they can recognize their successes. Teachers should help them set challenging but realistic and achievable goals, then model and scaffold the strategies that are compatible with how their brains learn most successfully. Teachers can acquire this information through observation and formal and informal assessments of students' learning styles and strengths. Through miniconferences and progress charting, teachers can help students see the connection between their efforts and their improvement. Eventually, students will build the resilience that comes with knowing that their own efforts are powerful enough to overcome obstacles and attain meaningful goals. Teachers can then turn students' newfound confidence and self-esteem toward other academic, social, and behavioral goals that seemed unreachable when these students felt discouraged and disparaged. In my neurology practice, I was initially astonished to see my patients respond with relief when I told them that their symptoms were due to a pinched nerve from a bulging disc in their spine or a blockage in the outflow of spinal fluid. I had thought that such news would be disturbing. What I discovered was that people who experience abnormal sensations, weakness, pain, or mental states often begin to think they have the worst possible disease or malignancy. So the news that they have serious but treatable conditions comes as a relief. Similarly, when students experience learning problems without understanding the reason, they also may imagine the worst: that they are inferior students who will never succeed in school. When parents first hear that their child has a type of LD, they may share that reaction. General education students new to inclusion classes may also have misconceptions about new classmates with LD. It is helpful for all students and parents to know that everyone is unique—physically, emotionally, in the rate at which their brains develop, and in the way their brains learn. To help students understand that having different ways of thinking does not limit LD students in all areas, teachers can introduce the concept of a band that needs a variety of musical instruments, or a team that benefits from a diversity of specialized skills. Non-LD students in inclusion classes will learn about the talents and interests that make their new peers interesting and worth knowing. They may find that the classmates they help with a math problem are giving them tips on the basketball court or in a computer class. Here are some strategies to foster students' recognition and appreciation of their classmates' unique attributes. Peer interviews. Peer interviews are a beginning-of-the-year activity designed to build connections. Pairs of students who did not know each other previously interview each other to discover interests, talents, travel experiences, and various “favorites,” from foods to films. Students then use the interview results to introduce their partners to the rest of the class. The interview process is a class bonding exercise that can also provide first buddies for new students. Class interest graphs. Students place dot stickers next to the appropriate items on a prepared chart listing interests and hobbies, types of pets, number of siblings, sporting activities, favorite subjects, and other grade-appropriate topics. The teacher can then tabulate the data and list names under each topic. This information will give students an idea of what they have in common with classmates and can become a springboard for conversations and friendships. Class expert or resident expert charts. Similar to class interest graphs, expert charts go a step further, listing not only students' interests and hobbies but also their areas of expertise, whether academic, artistic, physical, dramatic, or social. Students can make these posters more compelling by adding photos or sketches of themselves engaged in favorite activities or even pictures from magazines or the Internet that represent their talents. Through these charts, students gain an awareness of the degree of talent and know-how in their own classroom. The charts increase the inclusion and raise the self-esteem of students who may not have the same academic strengths as their classmates, but who have unique talents that are acknowledged and respected by classmates. Teacher modeling. It is especially important in inclusion classes that teachers demonstrate their own appreciation of differences and remain open to teachable moments that unite the class as a community. Modeling by a teacher who “shows instead of tells” sets a standard that students want to emulate. Should we have mixed-grade classes? What class trips might be fun and connect with the topics we'll study this year? Whom would you like to invite to be a class speaker? What famous person, living or dead, would you like to meet, and why? Once the community builds and students have experienced cooperative, respectful, and active listening, the topics can address bigger issues. Eventually, academic discussions will be safe opportunities for all students to participate. Another effective tactic teachers can try is exploring tangents. In Teacher Man, a memoir about his 30 years as an English teacher in a vocational high school in New York City, Frank McCourt (2005) describes his community-building strategies of getting off subject and following student leads. McCourt's students appreciated the stories he told them about his own life because he spoke to them as peers, not as inferiors. As a result, they opened up to him and showed a desire to work with him and one another. McCourt also remained open to their leads. After a long stretch of reaping only dismal results from his formal writing assignments, he realized that students' forged excuse notes from their parents contained creative and dramatic prose. He seized the opportunity to have students write essays and letters in the form of excuse notes, such as one from Adam and Eve to God, or from Lee Harvey Oswald to the Kennedy family. Another way in which teachers can model community building is to use language of inclusiveness. Teachers should refer to special accommodations with terms that have no negative connotations and that can apply to any student who at one time or another needs assistance—for example, one-on-one time, homework help, or study skills assistance. The most powerful thing teachers can do to model inclusiveness in their classrooms is to emphasize the value of a community of unique individuals. All students have strengths and weaknesses. Students with LD may have long believed that they were destined for failure in all academic endeavors. Even with the encouragement of a positive community in an inclusion class, they may still generalize any difficulty in math to mean that they will “never be able to do math.” They may interpret their incorrect pronunciation of certain words in group reading as an indication that they are bound to underachieve in all aspects of language arts. To prevent these misconceptions in LD students and their classmates, teachers should avoid such generalizations as, “Because of your learning disability, I will give you different assignments in all your subjects.” Instead, a teacher should explicitly tell students that the fact that they have trouble understanding the words in a math problem doesn't mean they can't do the math—and then show them practice activities that will help them improve their reading comprehension. The teacher should assure students that while they practice this reading skill, the teacher will help by giving them word problems with important words and numbers underlined so that they will know what to focus on. When students understand that their difficulties are specific and not global, they can be more confident about their potential to reach achievable goals. They will begin to embrace learning because they will no longer fear being doomed to a future of academic failure and permanent dependency on special accommodations. When a student does an outstanding job in any subject, whether computer science or poetry writing, the teacher should acknowledge the student specifically for that success without giving the impression that his or her standards are lower because of the student's LD classification. For teachers' private record keeping, it is appropriate to record accommodations and student progress toward individualized goals and to tell most students of appropriate age when there are modifications. This process does not need to involve the whole class. If students ask why they can't have the “easier work,” one response, in private, is to ask them if they think they need special assistance or if they prefer to be challenged to their highest potential. Given that choice, most students appreciate their abilities and would not trade them for what seems like an easier assignment. I frequently allude to the powerful positive expectations that most children have when they enter kindergarten. They are excited to learn, to be with peers, and to enjoy some independent adventures in the exciting grownup world of school. During this critical time, teachers can use brain research–based strategies to keep students' brains open, stimulated, and motivated. Positive teacher intervention during these early elementary years will reduce the stress, frustration, anxiety, and disappointment that can close the doors of LD students' affective filters and inhibit learning. It is likely that LD students will respond to the teaching strategies that have long served to engage the “average” student. However, from the start of the first school year, LD students need special attention, or they risk losing their joy, motivation, and confidence (Kohn, 2004). Young children have limited coping skills. Without appropriate teacher intervention, LD students will soon feel the anxiety of not being as successful or efficient as their classmates. In addition, parents don't usually suspect a learning disability this early, so they think their child just isn't trying hard enough, or that the school or the teacher is the problem (Raskind et al., 1999). During the intermediate grades, peer pressure becomes more intense, and parents may still not have a clear understanding of their children's struggles. Students not yet evaluated as LD may not be receiving the interventions they need. To keep confusion and frustration from limiting school success and motivation in LD students, this is the time to help them identify their learning strengths through direct and specific praise. This modeling and feedback demonstrates to LD students and their peers that all students are unique. They will realize that students who have problems in reading circle may make valuable contributions to cooperative response-to-reading projects that welcome multiple learning styles. By the time they reach the intermediate years, students are not fooled by homogeneous reading or math groups designated by color, shape, or animal name. They know who is in the “smart” group and who is not. If community-building strategies have been set in place, students will recognize that some classmates need specific strategies to help them in certain subjects and that other gifted classmates are given opportunities to do advanced work. Students in a positive classroom community will see the benefit of working toward reachable yet challenging personalized goals, and they will experience the rewards of mutual support. What they won't respect or tolerate is dishonesty, so being forthright is key to their success and resilience. Fourth, 5th, and 6th graders are ready to discover and use the strategies that promote their success. They are willing to work toward their goals (such as behaving appropriately in class and completing homework before watching television) when they feel that they have been treated as partners in working out their individualized plans and recognized for their positive efforts toward achieving them. Students will also work hard when teachers incorporate choice and learning style preferences into their instruction. Most students in these grades, along with their parents, are capable of understanding that specific learning difficulties do not correlate with general lack of intelligence or ability. A student who is limited by short stature and a lack of upper-body strength in basketball may be the most agile soccer player or a whiz at creating computer graphics for group projects. If students with learning differences have not been brought into the class and school community or developed social and academic coping strategies by middle school, they will be particularly vulnerable to the loneliness and isolation that can mark this developmental period. During the tumultuous changes of adolescence, students without peer support may be overwhelmed by memories of earlier school frustrations and embarrassments. If they don't have the social skills to gain the support of a peer group, they can fall farther behind in all areas of their lives. In an article on resilience and hope theory, special education expert Malka Margalit observed LD students who were less likely to view themselves as lonely or socially distressed than were their non-LD peers. These students had age-appropriate social skills and what Margalit called a strong sense of coherence: they viewed the world both within and outside themselves as ordered and predictable because their strong repertoire of social strategies led to positive social interactions. From classroom interactions and cooperative activities, these resilient students had learned about their classmates and were able to recognize those with similar interests or complementary talents. They were able to act on this knowledge to connect with classmates in class, at recess, and during after-school activities (Margalit & Idan, 2004). By nurturing friendships in an inclusion classroom, students develop attitudes that do more than just protect them from isolation and low motivation. The confidence built through collaborative partnerships in middle school helps all students develop empathy and problem-solving experience. This is the time when students must realize that passively observing bullying or social exclusion makes them part of the problem. Proactive educators promote discussion through video presentations, guest speakers, or life-skills class discussions on such topics as bullying and cliques. Teachers can implement several successful interventions to empower middle school students who have not gained the resilience and skills to form positive relationships with peers. Interest discovery. Interest inventories and direct questioning may not be as fruitful with middle school students as they are with younger students, who are more apt to confide in teachers, but anything teachers find out about students' interests can serve to prompt friendships and connect them to academic work. Students as resources. The class inventory of students' talents and interests comes in handy here. The list can connect LD students with academic partners who seek them out for their artistic, dramatic, computer, musical, or interpersonal skills. Through these experiences, the LD students gain confidence and class acceptance of their strengths, and gifted students feel appreciated for their intelligence rather than isolated or envied for it. Planning. By carefully planning partnerships and cooperative groups, teachers can ensure that excluded students receive opportunities to offer input that their group partners will acknowledge and appreciate. It is not unusual during the middle school years for a single peer connection to bring an excluded student into a larger social and academic support group. You are selected to be captain of one of the class basketball or kickball teams and are selecting players for your team. You know Bonnie is always picked last, and you are wise enough to know that her feelings are hurt. You recall how she shared her lunch with you when you forgot yours, and you also care about your class community. Some of the kids you already picked for the team are pointing to the more athletic students waiting to be chosen, and one points at Bonnie and laughs. What will you do? Even if this exact situation does not really play out on the field, most students participating in this role-play will feel the social consciousness to make the right choice. Sometimes just practicing this role-play and having their decision acknowledged and sincerely praised by a teacher will promote similar behavior when the real situation comes up. Hopefully, by the time students at the extremes of the social and academic spectrums reach high school, they have had teachers who challenged them to reach their highest potential, helped them build confidence, and showed them that individuality is more empowering than trying to fit in. If LD students entering high school have never had that support, they will be unprepared for the stress of joining inclusion classes, where they will see classmates confidently participate in discussions, focus on their work, receive higher grades, and be sought after as project partners. They are unlikely to have the strategies and resilience to avoid feeling inadequate and self-conscious in their new classes. At this stage, it is much more challenging for teachers to help them, but also more important. If these students are unable to make social connections or gain confidence, they may drop out, self-medicate, or lose any possibility of believing that it is worth their effort to try. Without attuned teachers, individualized strategies, and supportive class communities, these students may come to believe that acting out in class or dropping out of school is preferable to academic embarrassment and social rejection. Before information can reach the relational, patterning, and memory storage areas of the brain, it must pass through the reticular activating system (RAS). The RAS filters all incoming stimuli and decides which data a person attends to or ignores. The most powerful stimulus for the RAS is physical need; the brain will not be able to engage in the task of learning unless basic survival needs are first met. If students associate their classrooms with a visceral sense of fear, the RAS will filter out all but life-sustaining sensory information. This survival response to the stress of the classroom will greatly limit brain access to incoming information, and the students will fall farther behind (Cooper, Bloom, & Roth, 1996). When we take into account the information-blocking potential of both the RAS and the affective filter in the amygdala, it becomes clear how important it is for teachers to create environments low in destructive anxiety and high in appropriate challenge (Introini-Collison et al., 1991). Several indicators can clue teachers in to excessive student stress. For example, students may broadcast the stress of confusion by looking bored or acting out. Shortened attention spans are the brain's way of shutting out anxiety-producing confusion about material that is not being presented in an engaging and comprehensible manner (Meece, Wigfield, & Eccles, 1990). Low participation, as demonstrated by a sudden drop in the usual number of questions or comments during a difficult lesson, can also signal confusion and anxiety. When students stop asking questions—especially LD students who often do ask them—teachers should consider the need for assessment. It's important to make sure that students are not emotionally and intellectually dropping out of a lesson because they don't have the foundation to keep up. When it's not feasible to interrupt the lesson's flow by working with the students who are not keeping up, the teacher can offer a few words of assurance that he or she will work with the students individually as soon as there is a break. That reassurance will help students at least remain passively receptive to some of the sensory input of the lesson, rather than shutting down the information flow at the affective filter. Teachers need to tell students that they should try not to worry about what they don't understand and just absorb what they can. This message will be most reassuring if teachers always follow through with their promise to meet with these students as soon as the others are doing independent work. Once students see that their teachers are reliable in meeting their needs, they will lower their affective filters, even when confused, and absorb some of the data as they listen. It may not be active learning, but comfortable passive listening does build familiarity and keep motivation up. When teachers teach in a patient, positive manner and offer clear explanations and frequent, varied forms of repetition, students will gain confidence in their abilities to understand even the lessons that seem confusing at first. When stress is getting high from a lesson that is overly abstract, not relevant to students' lives, or too simplistic, the teacher should make the lesson more personally interesting. Neuroimaging research has demonstrated that pleasurably challenging lessons moderately stimulate the amygdala's metabolism and thus facilitate the brain's processing of information (Introini-Collison et al., 1991). Lessons and activities that arouse the brain's search for meaning will penetrate the RAS and reach the higher cognitive centers because of humans' natural survival instinct—the need to understand their environment and make meaning of what they see, hear, smell, and touch. Connecting the lesson to students' lives and interests therefore reduces stress and increases motivation (Kumar, 1991). Teachers can try the following stress-reducing strategies. Bring lessons to life. The Internet is a great resource for finding strategies to bring fact-heavy, cold-data lessons to life. Sample lesson plans from other teachers abound, and even state Web sites listing standards often provide sources for student activities and links to information databases. Give students a three-minute vacation. Teachers should occasionally give students a break by relating a personal anecdote, asking about films that students have recently seen, or telling a joke. A brief mental vacation takes the RAS out of its basic survival response to stress, allows the amygdala to cool down, and provides time for neurotransmitter supplies to rebuild. Reward students' efforts. When a lesson is heavy on dry facts and memorization, teachers can offer an authentic reward for students' mental efforts, such as letting them participate in a stimulating experiment, watch a film version of the book they've been assigned, or use geometry to calculate the height of buildings outside. The anticipation of an engaging activity will increase students' receptiveness to the lessons (Wiersma, 1992). As an added bonus, students' enjoyment of the associated activity will ensure that the information they learned will have more relational connections (neuronal links) to hold it in long-term memory storage. To motivate students to put effort into homework, teachers should consider planning homework that is clearly connected to the class activities, enabling students to see its importance and motivating them to complete it so that they can participate fully in the follow-up activity. For example, if the assignment is to read a chapter in their social studies book, the teacher can give a short quiz of fairly simple questions directly related to the reading (so that LD students who completed the assignment won't miss out due to lower reading comprehension). Students who score high enough to demonstrate that they completed their reading will get to perform group skits reenacting the events in the reading, while the students who did not do their homework sit quietly and read. When students realize that their homework is relevant and not just busywork, they will be more motivated to complete it with appropriate focus. In subsequent chapters, I provide strategies for making assessments positive learning experiences. At this point, I offer a few suggestions for reducing the stress that often accompanies formalized, especially standardized, test taking. These “de-stressors” can be crucial for students who have had only negative testing experiences. Students in inclusion classrooms will already have an advantage because they have learned according to their individual intelligences, interests, and learning styles. So one of the best things teachers can do is remind them about how prepared they are, pointing out the presentations or projects they made that demonstrated their strengths and having students take a few moments to recall and focus on these strengths. Teachers can also lead students through a body relaxation or breathing technique, which will help take students' reticular activating systems out of survival mode and reduce the blockade in the affective filter built by test anxiety. Teachers can take students' brains out of the fight-or-flight mode by reminding them that this test is just one assessment of their knowledge. Putting the test in perspective will free students to do their best and not be frozen by anxiety. It's helpful to remind students that many standardized tests include questions about things they have not been taught and are not expected to know—that some questions are included as trial questions to see if they are valid to use the next year (Bangert-Drowns, Kulik, Kulik, & Morgan, 1991). This reminder will prevent students from becoming fixated on what they don't know and thereby block neuronal access to what they do know. Teachers are experiencing increased pressure from parents to keep up with the influx of information on how the brain learns. Parents read about new brain research–based strategies in parenting books and magazines and naturally want to know if their children's teachers are using them in class. Parents of children with learning differences in particular don't hesitate to express their expectations that their children's teachers be at the forefront of strategic teaching. Rightfully so. No parent of a child with epilepsy has ever come to my neurology office and said, “Just do what you think is best without explaining my child's condition or your interventions to me. Whatever happens to my child is all in your hands, because you are the expert. I'm just the parent.” Similarly, teachers can and should expect parents to be advocates for their children, especially when their children have learning differences. Here are some ways in which teachers can include parents in their children's education. Contact parents. Teachers can help parents understand and appreciate their children's learning styles by sharing good news about their children, such as personality traits or behaviors that contribute positively to the class. This contact will increase parental support, because parents will trust teachers to recognize their children's positive attributes. Teachers should also assure parents of gifted students that their children's gifts will be nurtured—through independent projects with outside consultants or special conceptual math projects, for example. Give homework advice. Teachers should guide parents on how to help their children with homework, individualizing their recommendations according to students' learning styles. It's also helpful to provide information on brain research–based learning that supports their suggestions and instructional strategies. For example, parents may be skeptical of a teacher's suggestion that music can help their child focus. But if the teacher accompanies his or her recommendation with an explanation of how music enhances some students' brain patterning, the parents may be more willing to try what seems counterintuitive. In response to requests for homework assistance, parents' best policy is to help their children understand directions or to suggest a possible solution to a comparable problem. Parents should not be homework tutors, however. Excessive parent involvement in homework can impair teachers' insight into students' understanding. Parents can collaborate in more helpful ways. For example, rather than assign a set amount of homework each night, teachers in inclusion classes may require a certain amount of daily on-task “focus time” for homework—say, an hour and a half. Some students may spend this period dawdling and daydreaming as they watch the clock. But they're much less likely to undermine the system if parents send in notes indicating how much focused time their children actually spent on specific homework assignments. Most parents want to work with the teacher to increase their child's success with homework and will honestly indicate if their child focused for only 45 minutes. The teacher would then deduct points for incomplete work. Other students may rush through assignments so that they can have more free time. In these cases, parents can intervene by asking, “Did you do your best work? Are you proud of what you're putting your name on and handing in?” If students are not doing their best, their parents should be encouraged to require them to use the full allotment of homework time to further their academic knowledge and study skills by reading, practicing typing, working on long-term assignments and projects, or reviewing their class notes. Parents of gifted children can let teachers know if their children are completing homework in less time than students at their grade level should spend on homework. That feedback can let teachers know which students would benefit from a higher level of challenge appropriate to their learning strengths. Explain assessments. Teachers should let parents know that they will be using various styles of instruction and assessment to help their children learn according to their individual strengths as well as incorporating assignments aimed at strengthening students' weaker learning styles. Teachers should assure parents and students that they will vary assessments and offer choice whenever possible so that tests become opportunities for students to demonstrate what they have learned, not just what they have failed to learn. It's important for parents to know that these assessments help teachers fill in gaps in students' knowledge so that the students can enjoy future success in the subject. When standardized tests come up, parents can ally with teachers in confirming to their children that the tests are just one parameter on which they'll be assessed, and not necessarily the most valid one. Discuss rewards. Parents often ask about motivating their children with rewards for achieving academic goals. Often, the best reward parents can give their elementary or early middle school children is to spend quality time together doing an activity the children enjoy. For older adolescents who are less interested in together time with parents, a positive reward could be more free time to play their video games, watch a favorite television show, listen to music, play sports, or socialize with friends. When parents know that teachers share their desire to provide their children with safe, positive, and successful school experiences, they will support teachers in their efforts to help students develop to their highest potential and achieve success in and out of the classroom. What are Teachers Doing Right? The initial learning curve of discovering students' key needs and individualizing lessons to reach each learner is steep. Some of this information will come from independent observations and authentic assessments; more-personal feedback will come from teachers' work with students on goal modifications and guided metacognition. A strong, collegial faculty community will encourage teachers to pair up for peer observations and receive professional feedback on which strategies appear to be most successful in engaging students' attention. It is important for teachers of inclusion classes to stay motivated and to acknowledge what they are doing right. Instead of assessing themselves solely on the basis of students' performance on standardized tests, educators should consider what they achieve each time they stimulate a student's curiosity, observe students applying strategies they taught them, or watch students working cooperatively with classmates. Just as students are more successful with positive feedback, so are their teachers. So let's take the time to acknowledge our own successes!